We did a little more 7.3 injector testing on Zac Bolen's truck... Results were a little surprising. Truck is a 1999 F250 7.3 with irate t4 BASB turbo. 17 degree hpop. It is a dedicated tow rig that hauls heavy loads all over the country. Upwards of 30k lbs going up big grades in elevation. 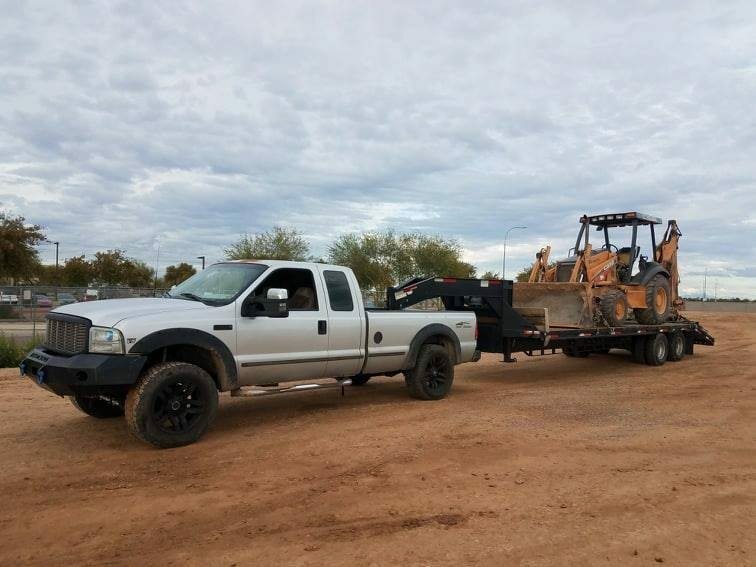 He was running FF 160/100s, made good power, towed well, but struggled a little with egts while towing heavy and had an issue where it would run into icp/oil issues while towing really heavy at 3/4 throttle going up really long grades... we are pretty sure it was sucking the hpop oil reservoir dry. Very oil hungry injectors. 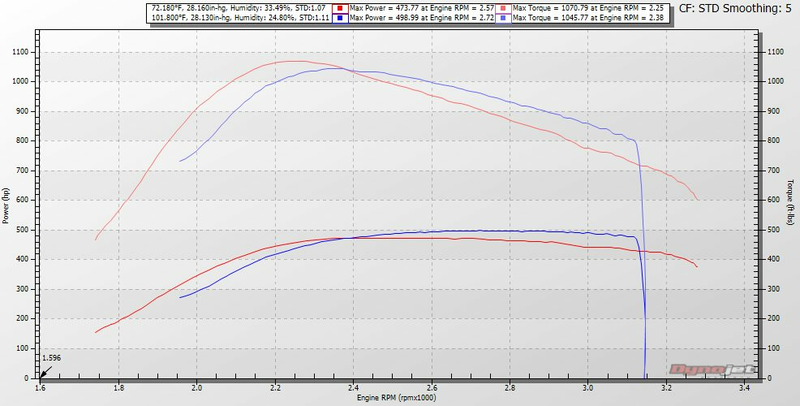 Even on a 3.6ms tune ICP would drop to about 2700psi. He decided to try some FF 205/30 hybrids injectors. Truck runs WAY cleaner, cooler, much easier to tow with, no more issues with sucking the oil reservoir dry. Very linear power band. EGTs are down 150-200 all across the board while towing and gained MPG. Holds a ROCK SOLID 3200icp at WOT. BUT... lost a little "oomph" down low under low throttle conditions, and top end power is down a little. So... why does it run so much cooler/cleaner and bring on the tq sooner? Smaller nozzles or hybrids? When we tested 180/30 vs 205/30, the 180/30 brought the power on sooner, not the hybrid. So I am going to say it is the smaller nozzle. Which makes sense because the smaller nozzle is known for better atomization and will spray the fuel farther into the stroke which increases tq. Next on the list.... 238/80s... it will be interesting to see how they all compare. Full Force Diesel Performance Inc.
Last edited by KCTurbos; 03-12-2019 at 06:37 PM. Makes me want to make the jump to a t4. Is that a sxe turbo, or the older style? Never mind, just went over to the other thread, lol. Last edited by psduser1; 03-12-2019 at 07:51 PM. Is there some sort of restrictor or diverter that limits how fast the LPOP can fill the HPOP reservoir? '01 F250 4x4 Crew Shorty, PM Rods, PIS new 160/30's, BW 364.5SXE, ITP Regulated fuel return, S&B CAI (dry filter). That is a good question. I know they make a bigger reservoir for it that helps. Not that I have found out, supposedly that is what the melling lpop is about. More volume / less pressure. It has always been my theory if the riffraff spacer would aide in this issue. I theorize the larger nozzle will bring the power on a little later and not run as cool... but we shall see.